Friday Finishes and a free pattern! This week I took it easy and worked on some new projects. I just wanted some down time to make things for fun and not think about anything else. Last year I made a mitten with a pattern from The Teacher's Pet. 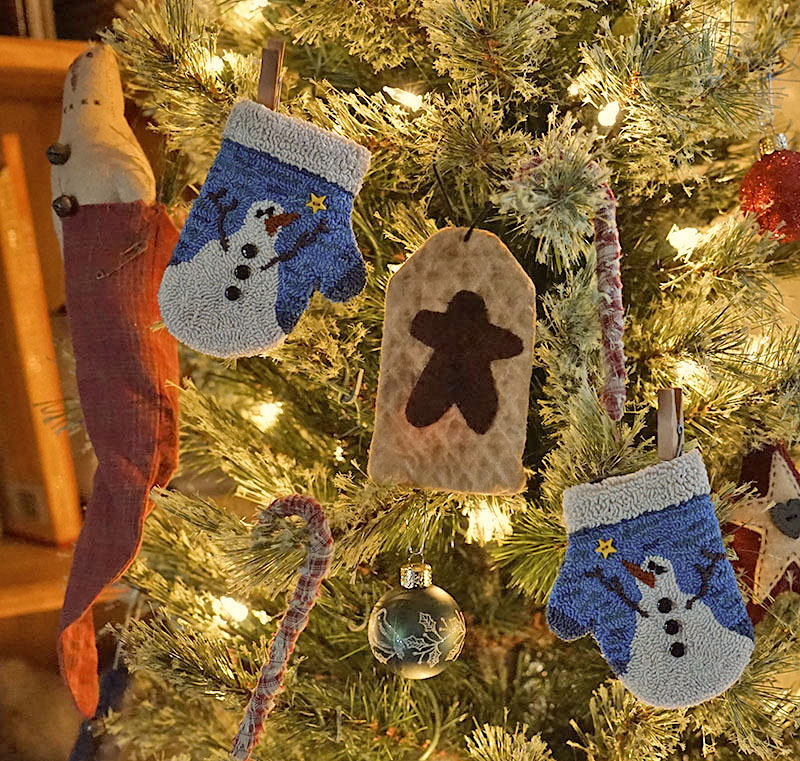 This year I used the same pattern and made some punched ornaments and another felted ornament with a few changes. I reduced the pattern to make the ornies, perfect size for my pencil tree. For the back I use a piece of wool. I like to keep them bright instead of staining, since I may regift them later and my sister who loves snowman has a tendency to buy my snowman pieces when she comes to visit. I also made it in a felted version. 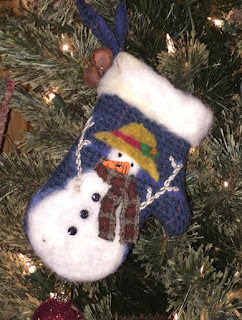 I used a loose weave piece of wool and punched the snowman and hat. For the scarf, I felted in a bit to tack it on, then I did stitches to keep it from falling out. If I over felted it, it would fall apart, and I wanted a 3D effect. A few buttons and a felted cuff and it was all done. We have snowy weather coming in and I am hoping it stays further north, since we are going to the kids. Just in case, I decided I better buy some extra food in case we get stuck at home. This is the house I grew up in, it was one of the original farm houses in the area. May the light of love shine on you and your families and your home with blessings. Merry Christmas 🎄 Those are gorgeous- look like fun projects. I love the character of your childhood home. I hope the weather doesn't keep you from spending Christmas with your grandsons. 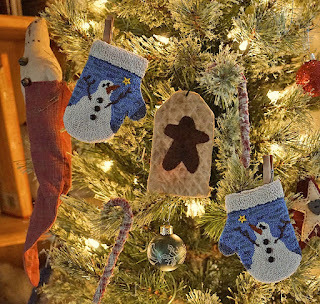 Love your snowmen mittens, especially the needlepunch ones. Lovely thread colour choices. I can see why your sister buys them from you. Have a very Merry Christmas Debbie, hope it is all that you wish for. 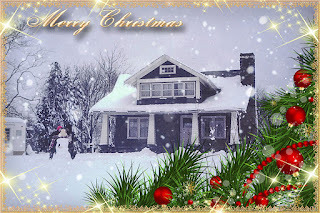 We are hoping for snow on Christmas Eve and morning, would be lovely to have new snow on Christmas Day. Merry, merry Christmas to you and your loved ones. Sure hope you can make it to your son's house. Merry christmas to you also We are in for a pretty good storm christmas day so we are headed up christmas eve I secretly am very excited about it. OMGoodeness, they are so darn cute! 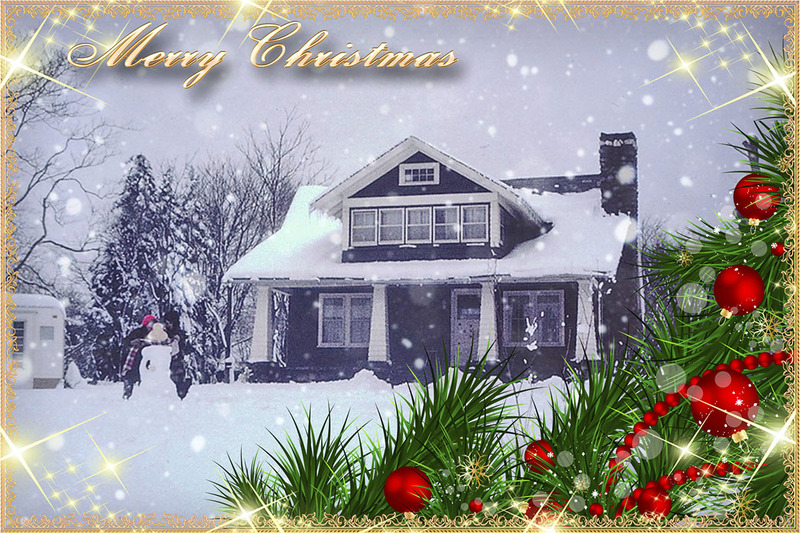 Have a Merry Christmas and stay warm! That felted snowman is my favorite ... and the best kind of snow too. Keep warm! How adorable, I love your snowmen!! !